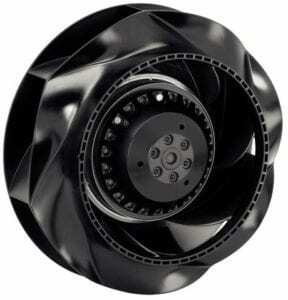 TRadiCal is the latest ebm-papst backward curved radial impeller design. The innovative styling of the impeller was perfected using complex simulation modeling, and precisely adjusted using prototype measurements. 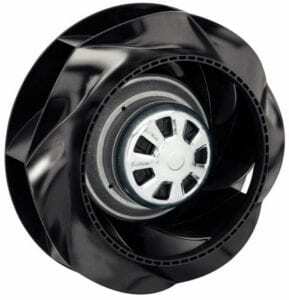 The air intake and flow channel geometries are the outstanding features of RadiCal impellers. Shaped to minimize energy losses and flow separation as air moves through the impeller, these features result in increased aerodynamic efficiency and lower acoustic noise. These impellers, combined with ebm-papst GreenTech® EC motors with continuous speed control, provide the most efficient, flexible and quietest centrifugal fans on the market.